Benton Doubles Tournament has been cancelled due to flooded conditions at the courts. 1:00 p.m. at Carlisle Courts. 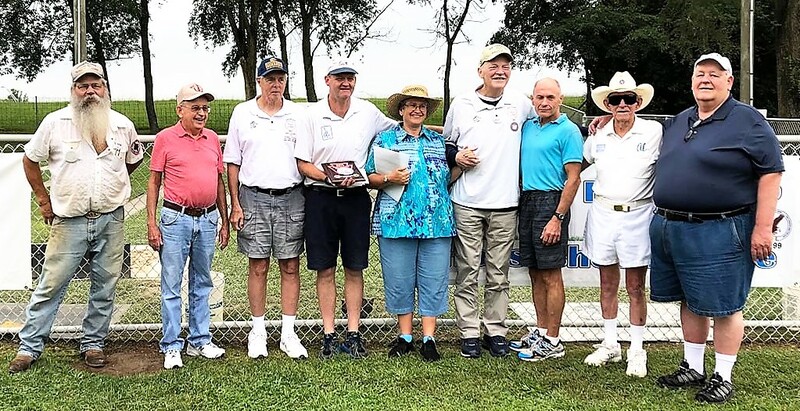 Congratulation to the winners of the 2018 Fall Club Challenge held in Selinsgrove on Sunday October 7th : REEDSVILLE Horseshoe Club. 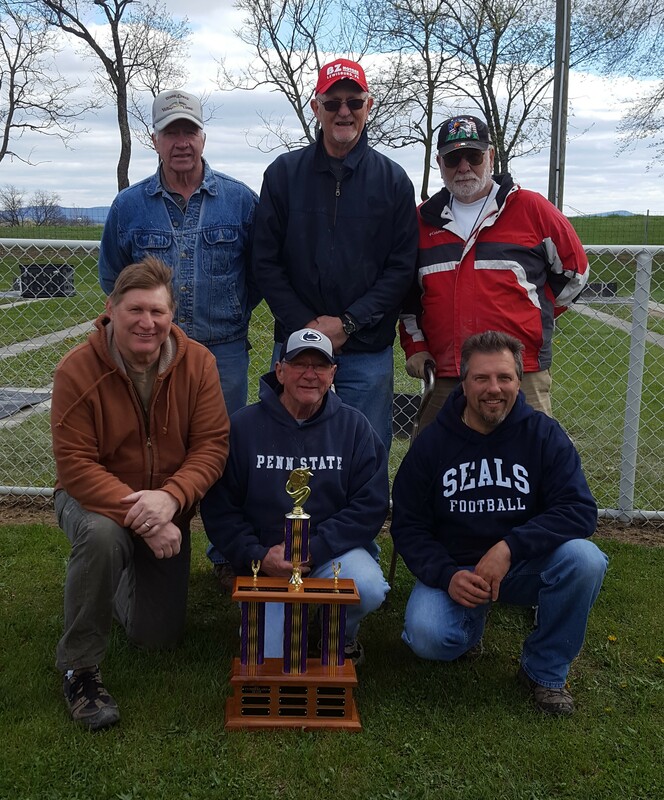 Competitors are (from left to right): Randy Zeiders, Don Bubb [kneeling], Rodney Zeiders, Don Cox, Martin Bubb and Bob Stewart [kneeling]. 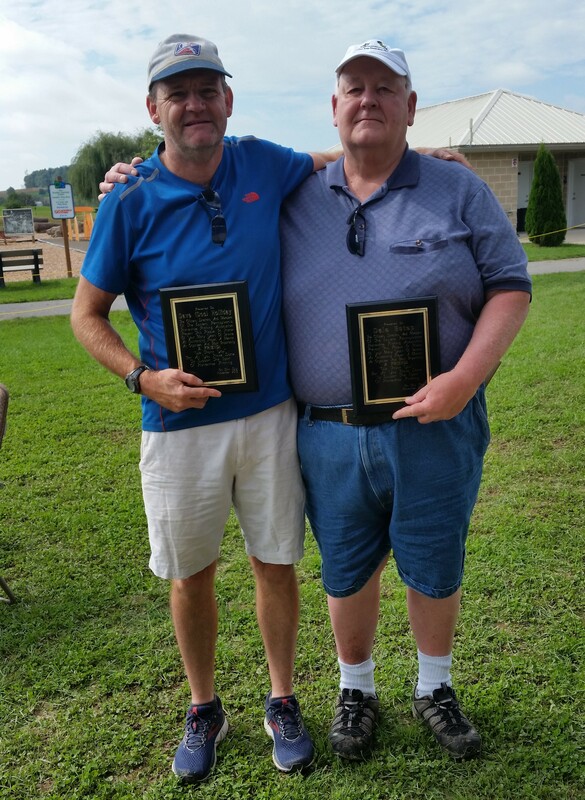 Congratulations to Dave "Doc" Holliday and Dale Estep on receiving Appreciation Awards in Selinsgrove on Sunday October 7, 2018. 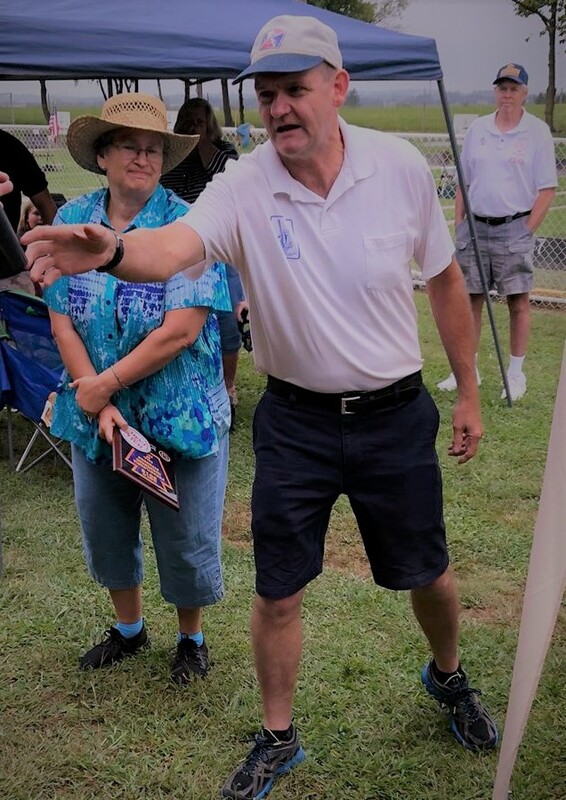 "The Officers, Directors, And Members of the Eastern Pennsylvania Horseshoe Pitching Association present this Plaque in honor of your Many Years of Service, Being an Outstanding Player, A Mentor, An Organizer, and most Importantly, A FRIEND ! We thank you for all you have done to support the sport of Horseshoe Pitching"
On FaceBook; the username @pennshoes has been created for the FaceBook site "2018 PA State Tournament". If you have additional photos, please add them to this album. You can also add comments and names to the photos. winners of the 2018 Spring Fling Club Challenge held Sunday April 29, 2018. Congratulations to Dave Fisher for participating in 11 Consecutive World Horseshoe Tournaments! 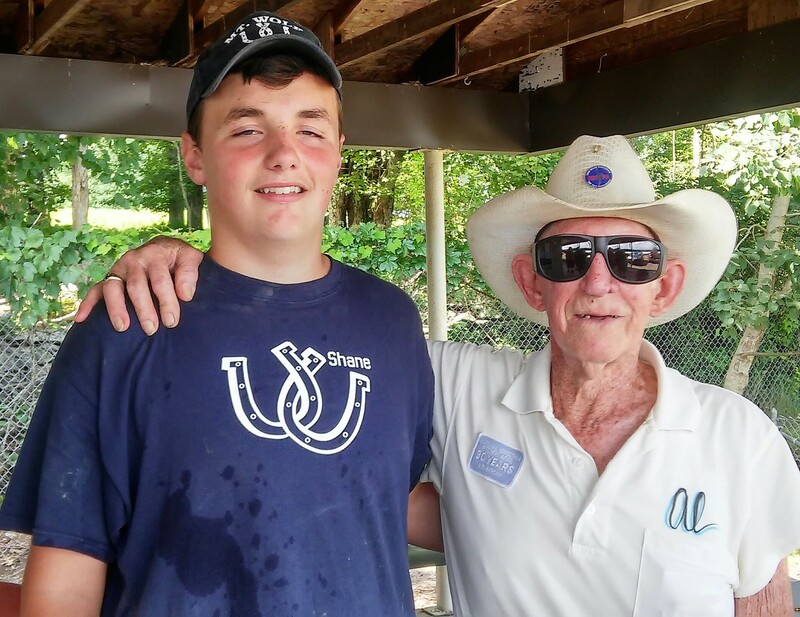 How did Pennsylvania Horseshoe Pitchers finish at the World Horseshoe Pitching Tournaments? Western PA Schedules, State Tournaments, etc. EPHPA now has a FACEBOOK Page for the use of all members and clubs. Please check it out at facebook.com/easternpahorseshoes. Any clubs or members can add photos, comments, or stories from their tournaments. Make sure to click "Like" the page to update our status. LOTS of pictures added all the time! Take a look! are now in a user-friendly format. You DO NOT have to be a shutterfly member to view the albums. Eastern PA Pitchers, this is your site!